Hi everyone! Today I'm really excited to review a few new gadgets that I've been using latel. I've been wanting to do this post for a long time, but wanted to make sure I used both of these products plenty of times to get a thorough review, and to know what I really think of them. This is a lonnnnggg post, so let's get into it. I received this product for free from Beets Blu in exchange for an honest review. I'm not being paid for this review or compensated in any other way! 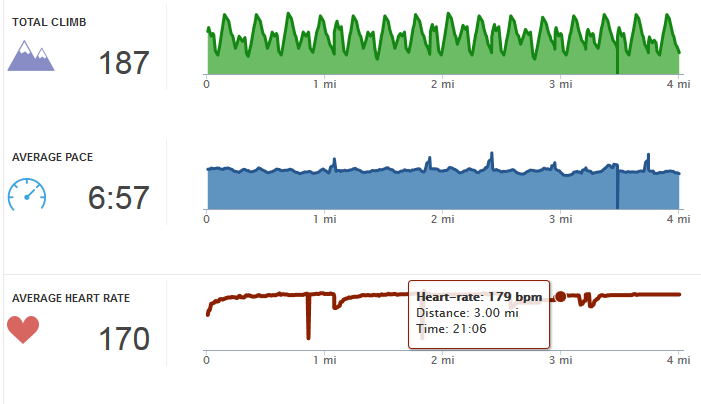 For a while now, I've been wanting to try out heart rate monitors for my training. Last year, Nichole and Jennifer wrote some great, informative blog posts about the subject, and I really wanted to get my hands on one! I was really excited when Beets Blu contacted me to try out their heart rate monitor, and of course I accepted. The first thing that I noticed about the product is that it's very minimal. It weighs in at only 16 grams and is 11 mm tall. When I'm wearing it, I really don't notice it or feel it at all! The monitor comes with simple instructions- adjust the band to fit your chest, wet the nodes that touch your skin and register your heart beat, and snap it on. I wore this out on a variety of runs, including an easy run, speed workout, and long run. In the Runkeeper app, I adjusted my alerts to hear my heart rate zone every 5 minutes which was really helpful. 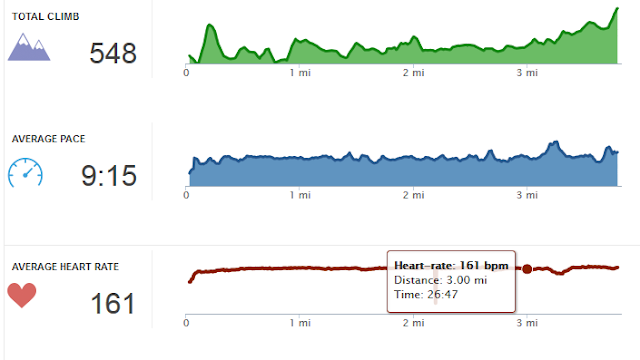 On my easy runs, I tried to keep my heart rate around 70%, speed workout around 90%, and long runs between 60 and 70%. I'm still learning about what ranges are best for each workout, but for now these seem to work well! Overall, I really like the Beets Blu monitor. If you're looking for an inexpensive heart rate monitor that can sync up with your phone and not have a ton of bells and whistles, I think this is a great option! I wish that I could connect it with my watch, but Garmin will only connect to their own devices. I like using the Run Keeper app, so this isn't really an issue! I bought this watch with my own money back in November. I actually found it on sale on REI's website and used a rebate from Ibotta to get it for around $100! Since I've been using it for so long, I have a pretty good understanding of it and I hope my review will be helpful! This is actually the third running watch that I've used, and it's by far my favorite. I first used the Nike+ watch before GPS watches became really popular, then shared a Garmin Forerunner 10 with Dan for about a year. I decided to pick up my own watch and my number one requirement was for it to be waterproof and having multi sport capabilities. That led me to this watch, since it is safe for swimming and biking, and is at a lower price point than most multi sport watches. For running, this watch is great. It syncs up really quickly, either using GPS or the accelerometer in the watch (which will switch to GPS as soon as it connects). I also set mine to auto pause if I'm slower than 20:00 miles (aka stopped at a stoplight). There are a few different data screens that you can use, and each screen is completely customizable for whatever data you want to see. Right now, I use the screens that show overall time, distance, and pace as well as current lap time, distance and pace (mine is set to automatically lap every mile, but this can be changed as well). To switch between these screens you just touch the screen! There are other data fields that you can use on the watch, including heart rate (if you connect a Garmin heart rate monitor), elevation, weather, cadence, and more. There's also an option called "Back to Start" which shows you how far and what direction your starting location is. I love having this feature! This watch also works indoors on the treadmill or indoor track. It uses the accelerometer to calculate distance and pace. While I found it to be accurate when I ran on an indoor track, it didn't work for me on a treadmill. This isn't a big deal to me since the treadmill shows me distance and time already, plus I don't use the treadmill that often. I also used this watch in the pool. There are options to change the size of the pool, and splits are calculated based on how many lengths you do. My pool is 25 yards, and I found it to be completely accurate in calculating distance. There are a few data screens available for swimming, including time, distance, pace, strokes, and lengths. You can also pause the watch during a workout to take a break or start a new interval. Besides running and swimming, the watch also has capabilities to track biking, indoor spinning, walking, and golfing. I haven't used any of these features yet, but I'm excited to try out the biking when it warms up! This watch has so many other cool features that I could talk about (as far as connecting to smart phones and other non-fitness features), but I mostly use this for workouts. If you're interested in learning more about the other features, check out DC Rainmaker's in-depth review. In fact, if you're looking to purchase any fitness-related device check out his site first. His reviews are incredible! Overall, I love this watch. It has so many cool features and I love how you can customize all of the data fields to see exactly what is important to you. It syncs up really quickly to GPS and I've never lost a signal, which is always important to runners! The battery life on it is also really great, and I love how fast it charges up. There are so many great parts of this watch that I'm honestly shocked that it's priced so low. It's almost like having a regular Garmin, FitBit, Apple Watch and triathlon watch in one! Pretty incredible. What new products have you tried out recently? What kind of watch do you use? Anyone out there not use any watch? What kind of review would you be interested in seeing next? I have been wearing the Asics Nimbus for years, and for the first time ever I'm trying out the Brooks Launch. And I love them! So that's my new thing that I'm trying out! Very exciting. :) Oh and I also bought a pair of hot pink Asics crew length socks that make me look like a dork, but just the perfect amount of dorkiness. Trying out new shoes is always fun! And hot pink socks are NOT dorky at all. This is a great review, Gretchen! I have the Garmin 620 with the HR monitor, but I literally bleed on my sports bra line where the monitor sits when I wear it.. Even with all the body glide in the world so I think I lost it on purpose because I kept wearing for the stats and was scarring.... not good! Therefore, I porbably need to look into a HR monitor of a different brand and I'll check out more from Beets Blu! Thank you! Thanks Margaret! That sounds AWFUL...sorry to hear that! I have a polar HRM and the HRM with my old Garmin, but I've not hooked it up to my new Garmin. I would use it every now and then to check out what it predicted my calorie burn to be so that I could refuel properly, but I don't really use any of that anymore. I've heard great things about Polar! I bought my Garmin Vivoactive last weekend & I LOVE it. I wear it every day & the GPS syncs up so quickly.. even under the Birmingham bridge before a long run.. my garmin forerunner 10 used to take at least 10 minutes to sync.. & I had to walk out from under the bridge to find the gps.. awesome watch! It's such a great watch! Glad to hear you like it too. I'm glad you both like this post! I use a Garmin Forrunner that I got for "free" with some rewards points I had built up at work. But my gripe is I can't use it for things like swimming, so I'm jealous the Vivoactive has that feature. I liked this post & the TJs food review you did a while back as well. I have no idea how makeup works, like tinted chapstick is about a 10 on my wild & crazy scale, so not as big a fan of those. I'm in the market for a new running watch! I have a HUGE, old one. So cool that the monitor connects with so many apps. I had a heart rate monitor that connected with a watch but since I couldn't track it along with my workouts I stopped using it. It would have been so helpful if it would have connected to Runkeeper to allow me to see my workout and my heart rate stats all in one. Thanks for sharing! I remember using the Nike GPS watch for a while as well (before they got really popular). Then the watches never worked that well and Nike actually got out of the GPS business. I like my Garmin 220 personally. I agree! Compared to what's out now it isn't the best, but at the time that was all there was! I think that straps are more accurate than watches from what I've read. I wonder what the difference would be if you wore both? Wow you run a lot of hills on your long run! I run with the Garmin 10 and love it so much - it's pretty accurate, and it's waterproof up to something like 15 feet which means it's safe for Seattle running. I really like my Garmin too. It's lasted over a year and made it through a Tough Mudder! That's a pretty sturdy watch! Awesome! I can't wait to see your review! It's a great accessory for running! Thanks for the review! I've been debating whether to get the vivoactive or one of the forerunners. Does the vivoactive let you set up running intervals? And do you find that you need to bring your phone with you as well on your runs? Yes it does! It has SO many features! I like to run with my phone just because I listen to music and have it in case something happens, but it's not necessary. that garmin sounds amazing! if i did other things i would totally check that out. 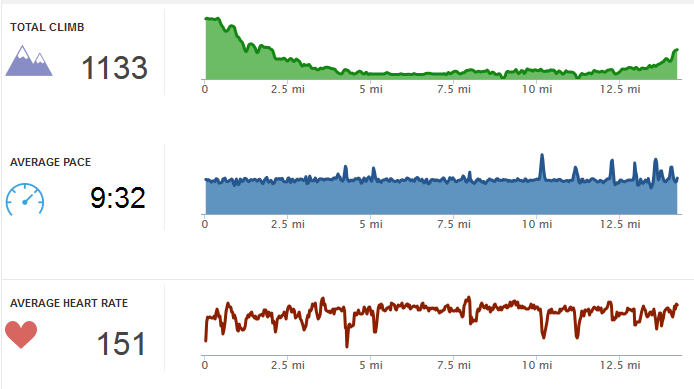 my garmin can take a really long time to find a signal sometimes, but other than that i have had zero issues. i kind of want a fitbit just for other workouts and stuff but i really don't *need* one. that heart rate monitor is super well priced, and that's so cool it links with other apps (except for the garmin, boo). I wish it hooked to the garmin! I think that's more of a Garmin issue though..they want you to buy their products! Hi again! I just tried my HR monitor and was sad that it doesn't sync with any of my current apps (Nike running, Fitbit, iPhone health) so I downloaded RunKeeper to try it out. I ran on the treadmill though and I couldn't find a place to tell it that so the distance and time and such are not accurate. 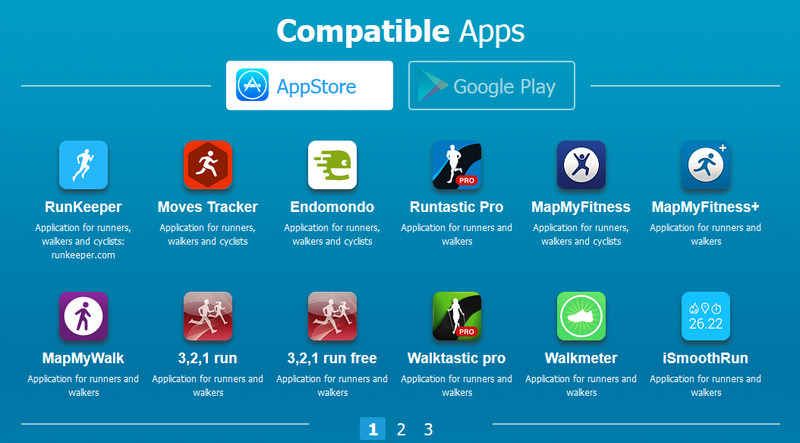 Do you know of a running app that works indoors? Thanks! I don't think an app would work indoors just because you need some sore of pedometer/accelerometer that a watch or Nike foot pod would have. I'm not entirely sure though! If I'm on the treadmill I don't typically track just because the treadmill shows all of the stats. I have a polar and love it but always like to check out new gadgets thanks for the recs! I switch off wearing a Polar and Garmin Vivofit2. Love 'em both!